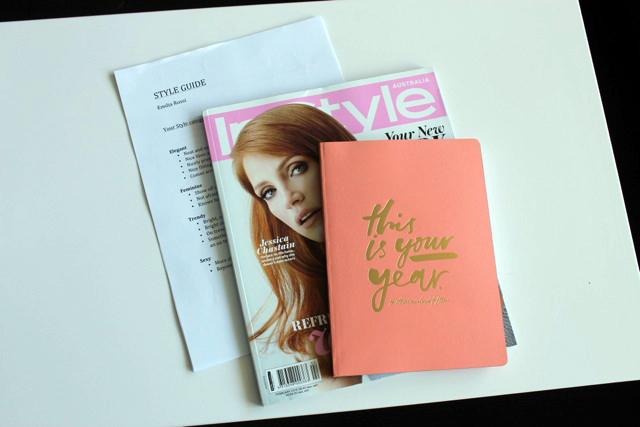 In November I wrote about my 1 hour personal styling session with Chelsea, a Melbourne Fashion Stylist. The post covered the things we spoke about as well as the things I learnt. I wanted to give you an idea of what you can expect when having a styling session in your home. In contrast, today I’ll be sharing with you the experience I had with Chelsea during a shopping trip we organised to go on. After clearing out my wardrobe of items that did not suit me including clothes that had high neck lines, clingy fabrics and dull colours, it was decided a 5-hour shopping trip would benefit me (and my wardrobe). Although I was excited to go shopping with someone who’d do the hard work and the thinking for me, I was also worried about feeling pressured to buy things that I wouldn’t wear. It was also a great way to know exactly what I was going to get out of the shopping trip. Although I write and talk about fashion on my blog, I do admit I need a bit of help with my styling and shopping every now and then! After the recap I stepped into my first change room located in Myer. This was a great place to start as Myer had so many options to choose from. It was great to see that Chelsea had pre-selected pieces for me to try on during her pre-shop the night before from various brands such as Country Road, Cue, Metalicus and Arthur Galan. This Cue white cape jacket is one of my favourite items purchased after my shopping trip. It’s easy to wear casually with my new straight leg Country Road black stretchy pants and a tight fitted grey tee. I top this look with a comfortable pair of flat black shoes. We also visited other stores which catered for other items I needed such as high rise black pants, a casual jacket and an every day short brimmed hat. During the shopping trip, I felt relaxed and under no pressure to purchase anything. Chelsea encourages you to speak up during the shopping experience if you don’t like something. So at the end of the day, you will be left with items you love and which make you feel like a goddess! After the shopping trip, I received a very detailed Style Guide (6 pages to be exact!). The guide outlined the type of clothes, colours, fabrics, finishes etc to avoid as well as the clothes that suit my body shape, lifestyle and style. It’s a great reference tool and I will refer back to every now and then. The Style Guide I received from Chelsea after the shopping trip. The entire experience (including the 1-hour styling session and the 5-hour shopping trip) have been life changing. We pay attention to so many things in our lives, but how often do you hear someone say that they invested in their style? Anyone in need of a bit of a lift in terms of how they look and feel can benefit from seeing a fashion stylist. I will do this every couple of years as I change my style and do not pretend to be an expert. Because I found this experience so valuable, I wanted to share the opportunity for one of my readers to be able to enjoy a 1-hour styling session with Chelsea in their home in Melbourne. One lucky winner will receive a 1 hour styling session with Chelsea in their home in Melbourne worth $99!